What was Dhruv's love for Veronica? Did Veronica deserve Dhruv's selfless love? Why did she leave him? Will Dhruv accept her back in his life again? These are the questions that torment Dhruv and the reader throughout the story and Dipesh has done well to recite a story of breakup and a lesson that changed a happy go lucky guy Dhruv. A book containing story in 34 pages did not appeal at first by the cover. I thought it cannot be considered a novel but Dipesh through his words proved that the book is worth reading and "Quality matters rather than Quantity" not compromising with silly add ons of silly unimportant incidents in the story.I would have loved it even more if some part of Indori style was showcased more but a writer's words are final and a reader can only read and consider a story so real and full of unforgetful moments of Love and betrayal. The hindi shayri part captures attention and gives a deeper representation of a heart's pain of loss of love. Yes, breakups haunt, they give sadness and depression.But why did Veronica come back when she left him giving pain? Why NOW? When he was healing, recovering.Has she realized her mistake? Or is she back for more? What will Dhruv do?Want to know? 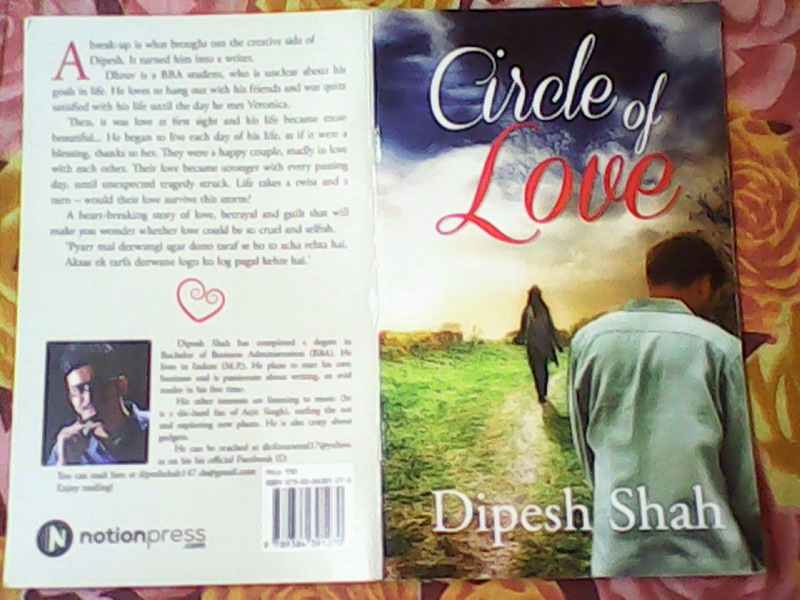 Then do read "Circle of Love" by Dipesh Shah, published by Notionpress.